Rainbow Feather Boa– Feather boa with mixed primary colours measuring 1.8m long. 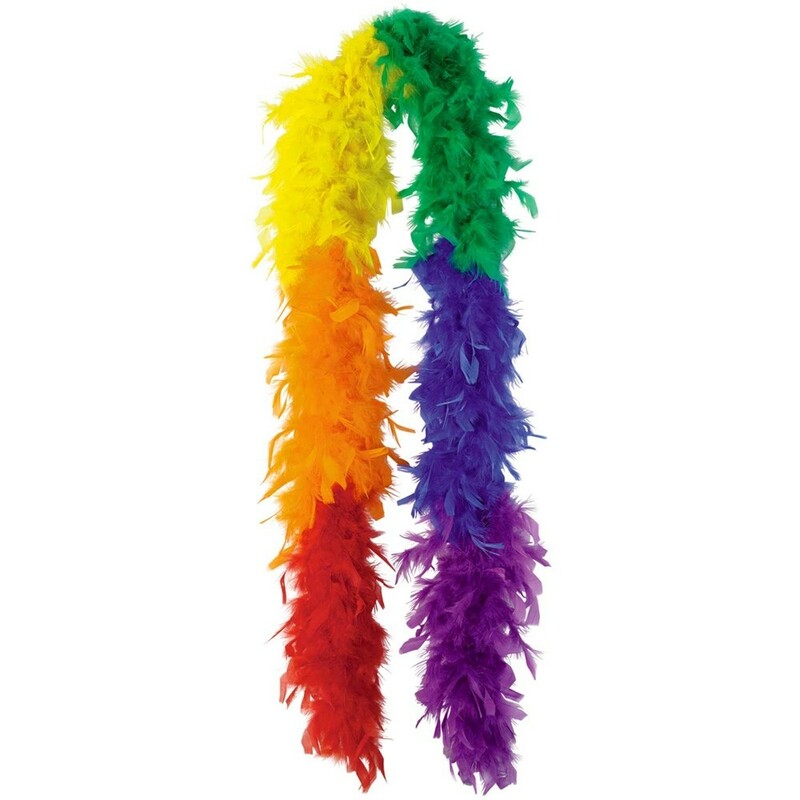 This Rainbow Feather Boa is perfect for festivals or Pride events. 1 x Rainbow Feather Boa.